White House Science Fair Roundup « Adafruit Industries – Makers, hackers, artists, designers and engineers! White House Science Fair Roundup @ Evil Mad Scientist Laboratories. 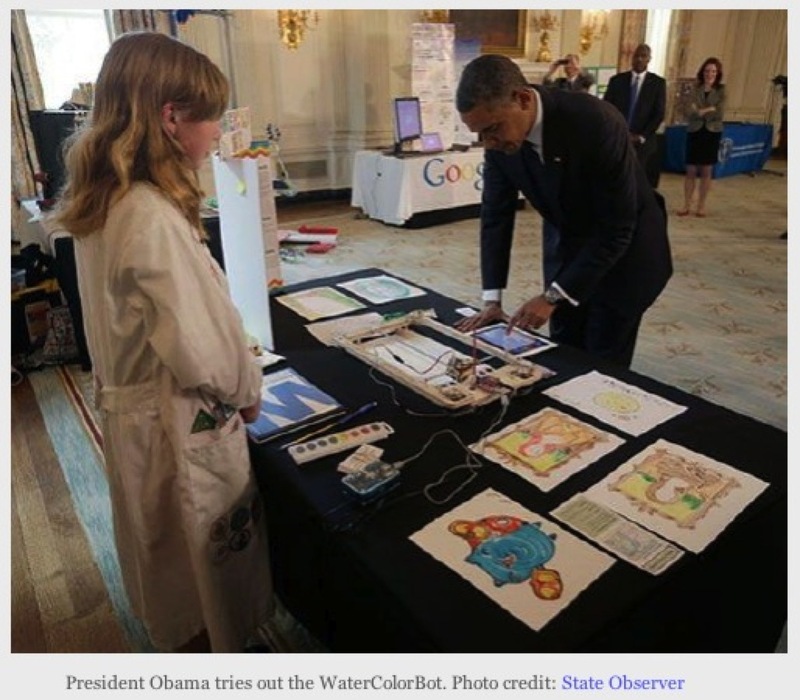 We’ve gotten to see Super-Awesome Sylvia and her WaterColorBot in a variety of news sources following her journey to the White House Science Fair on Monday. Check out all the links and more, including the New York Times!